As you clear your head from the post-4/20 holiday and or UFC Nashville haze the only stable thing left in this MMA world is MMA rumors. With the UFC heading into a three week event free Spring Break the spinning MMA rumor will shift gear into overdrive as more begins the scenes action bubbles to the surface. The MMA calendar is stacked from May to the end of summer and the time is now to brace yourself for some first class MMA-ing. 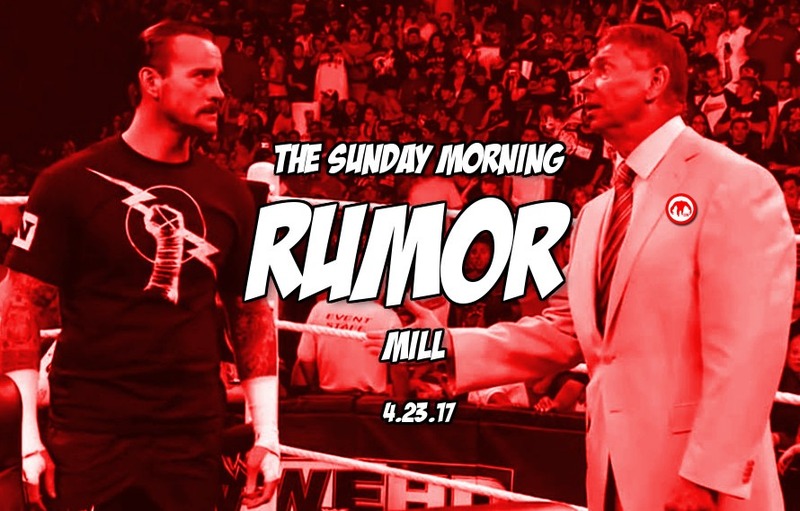 As always these our rumors that have been talked about behind closed doors between MMA higher ups, so take them as MMA rumors. Layout and chill in your favorite bean bag sitting device as you breath in the smoke of your Sunday Morning Rumor Mill. Sources say none other than Braun Strowman will challenge Brock Lesnar for the Universal title in the coming months, likely before SummerSlam. But Lesnar will likely be working more pay-per-view shows in 2017, especially if WWE decides to keep him champion until WrestleMania 34. If you have heard of any interesting rumors that you would like to add, feel free to post them in the comments section below, on our Facebook page, tweet us or mail them to us in an unmarked envelope. Just remember they are rumors and not confirmed as fact, so please take them as such.